When you to start thinking about assisted living care for an aging loved one, it can be mentally and emotionally trying time. For family members, the decision to make the transition to assisted living can be a difficult one, and for good reason. 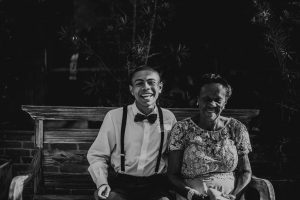 Anyone with aging parents or relatives likely knows the worry that accompanies trusting the care of their loved one to strangers. In a perfect world, our loved ones could live out the remainder of their days in the comfort of their own home, but this isn’t always realistic. With aging comes a fair share of health issues that can happen. Relatives or caregivers may not be equipped to deal with these issues. When it comes time to find the right nursing home for your loved one, only the best will do. Let’s find out how to find the right nursing home. Assisted living care is not a one size fits all solution. There are different levels of assisted care to fit the specific nursing home needs of each individual. The individual requires a minimal amount of supervision, assistance or reminders to perform some daily activities, but is independent in other activities. they may require assistance or reminders to take medications or may be able to take medications independently. 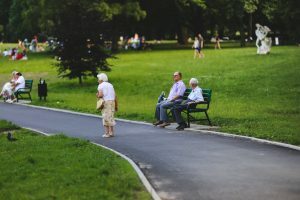 This level of care is suitable for those who still retain a good deal of independence, and do not have mobility issues that prevent them from tending to their affairs but may need a little bit of help to facilitate them in this regard. The individual requires more substantial assistance with some activities of daily living while needing only minimal assistance with others. Assistance with medications may be provided. This level of care is suitable for those who still have the mental wherewithal to tend to themselves but may not have the freedom of mobility to take care of their own needs in terms of cooking, bathing, dressing etc. The resident needs frequent and comprehensive assistance with activities of daily living. Staff administers medications or assists the resident to take them; staff monitors the resident for the effects of medications. This level of care is suitable for individuals with limited mobility, dementia-related conditions, or other hindering issues. The cost of assisted living is more than a pretty penny, especially considering the ever-rising cost of senior care. However, plenty of strategies can help you fit quality senior care into your budget. Taking the time to visit senior care communities before you buy will help you avoid paying for care that your loved one doesn’t need, or a facility that can’t provide enough care. Evaluating facilities ahead of time and understanding your loved one’s needs can help you avoid not getting the care you need. Some assisted care facilities offer tiered levels of services that correspond to the level of care the patient requires. This makes it possible to choose some services but take care of others yourself. Family members or volunteer services may be able to fill in the gaps in a more cost-effective way. However, an all-inclusive option might be the more affordable option for far away families. An important factor to consider is finding a care facility that is a good fit for your loved one’s personality. If they are the type of person who enjoys arts & crafts, you should look for a facility that can offer them the necessary space, or supplies to facilitate those interests. For seniors who are afflicted by dementia-related conditions, it is important to make sure that the facility can offer dementia care by a qualified staff. Dementia-related conditions can sometimes present with behavioral issues. It’s important to make sure the facility is equipped to handle an outburst safely. Another factor to consider is dietary needs. Make sure your facility can accommodate these special dietary or food allergies needs. Some assisted living facilities are less like nursing homes, and operate more like communities. These kinds of facilities are often set up like apartment complexes, where each resident has their own apartment. Some may even have kitchens for those who are capable of cooking for themselves. Some facilities have full on-site medical staff, while others may only have first aid care available to patients. These are important factors to consider if you want to find the right nursing home. If you need help navigating the proverbial maze, reach out to a senior placement agency in your area. Contact Above and Beyond Senior Placement Services if you are looking for assisted living care options in the Scottsdale or Phoenix area. Above and Beyond is a free assisted living placement service that provides advice in the field of elderly care in Phoenix and the surrounding areas in Arizona for over 20 years. We offer unbiased options and outstanding senior placement service to suit any level of care.